Johnson in The Caine Mutiny. 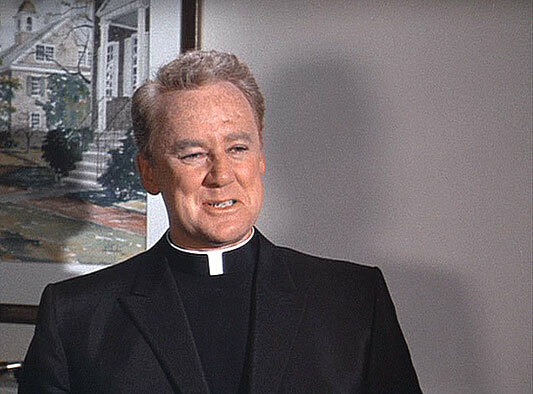 Van Johnson was born on August 22, 1916, in Newport, Rhode Island. Van Johnson came to prominence in A Guy Named Joe,1943, with Spencer Tracey and Irene Dunne, playing a pilot with a guardian angel, in the form of the ghost of a pilot. 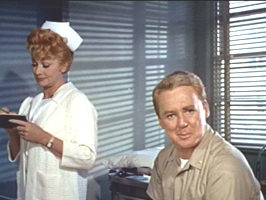 As a result of an automobile accident which took place during the time of filming, Van Johnson had a metal plate in his forehead; an injury that exempted him from military service in World War II. With his blonde, clean-cut looks, plus his wartime availability, he played many a war hero in movies. In 1949, Van Johnson starred in the World War II movie, Battleground, which details the psychological fortunes of a group of American soldiers, engaging Germans in the dense fog of winter, during the Battle of the Bulge. 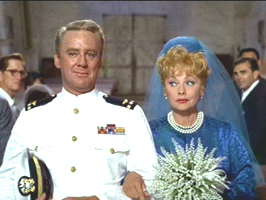 Van Johnson played naval officer, Lt. Steve Maryk, in the 1954 movie, The Caine Mutiny. It was the story of the controversial military trial, that resulted because a crew relieved their apparently mentally unstable captain (played by Humphrey Bogart) from duty. In the same year, Van Johnson starred with Elizabeth Taylor in the movie, The Last Time I Saw Paris; a complicated story of love, loss and redemption. In 1954, he starred with Gene Kelly and Cyd Charisse in the musical fairy tale, Brigadoon. During the 1970s, and early 1980s, Johnson was a frequent guest on TV series and sitcoms, especially The Love Boat. 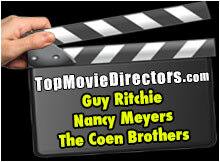 He appeared in 123 film and television projects. 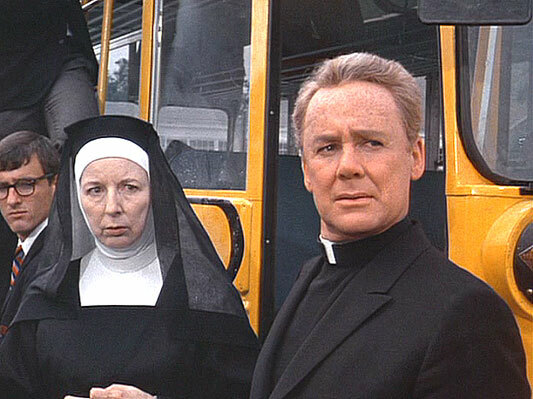 Van Johnson in Where Angels Go... Trouble Follows (1968). 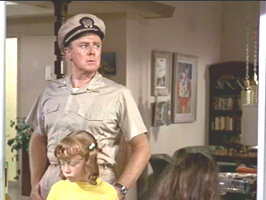 Van Johnson in Yours, Mine, and Ours (1968).